MONTREAL, Oct. 18, 2018 /CNW Telbec/ - Transat, one of the largest integrated tourism companies in the world and Canada's holiday travel leader, is now Travelife Certified. This marks the first time that this international certification has been awarded to a major international tour operator for the full range of its activities. This recognition underscores Transat's longstanding efforts and leadership in sustainable development. "Twelve years ago, we began a structured approach aimed at becoming a model of sustainable tourism," said Annick Guérard, Chief Operating Officer, Transat. "In the process, we strengthened our environmental management and our social engagement, including toward children, trained our teams on the importance of sustainable development, retooled our operations to better address customers' concerns, and urged our partners to implement sustainability practices. Today, we are very proud to receive the Travelife Certified attestation, recognizing best practices in responsible tourism across all of our tour operator and travel agency activities, which were painstakingly reviewed to secure certification." "We will now work steadfastly to pursue the continuous-improvement processes required to maintain this certification and become a company that shows ever-increasing respect for the principles of sustainable development. Like our customers and partners, we care about these issues that are so crucial to the future of our industry and the planet," Ms. Guérard added. "Our government recognizes the importance of tourism, an economic driver that supports close to 1.8 million good jobs from coast to coast to coast. The tourism industry is growing in Canada and around the world, and we want to make sure Canadians benefit from that. We applaud Transat's leadership in sustainable tourism as demonstrated by the company receiving certification that recognizes its commitment to the environment, communities and sustainable tourism development. Congratulations!" said Mélanie Joly, Minister of Tourism, Official Languages and La Francophonie. "I am delighted to see that sustainability in the tour operators sector is obtaining momentum," said Kathleen Pessolano, Director of Strategic Partnerships at the GSTC. "Transat's certification will surely inspire other companies in Canada and North America to adopt GSTC Criteria for Tour Operators." "This certification is the result of the hard work and shared commitment of Transat personnel and of our tourism partners," noted Christophe Hennebelle, Vice-President, Human Resources and Public Affairs, Transat. "We thank our teams and our shareholders for their unwavering support. They can be very proud of this achievement." 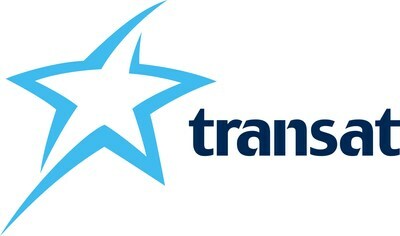 Transat A.T. Inc. is a leading integrated international tourism company specializing in holiday travel. It offers vacation packages, hotel stays and air travel under the Transat and Air Transat brands to some 60 destinations in 26 countries in the Americas, Europe and the Middle East. Based in Montreal, the company has 5,000 employees. Transat is firmly committed to sustainable tourism development, as reflected in its multiple corporate responsibility initiatives over the past 12 years and has been Travelife Certified since October 2018 (TSX: TRZ). Travelife for Tour operators is a management, training and certification system dedicated to achieving sustainable practices within the tourism industry. Officially Accredited by the Global Sustainable Tourism Council, it provides companies with best practice sustainability goals, tools and solutions to implement positive change within their businesses and supply chains. Travelife for Tour operators is managed by ECEAT, a not-for-profit organization based in The Netherlands. Travelife for Accommmodations is managed by ABTA, The British travel association. www.travelife.org. The Global Sustainable Tourism Council (GSTC) establishes and manages global sustainability standards, known as the GSTC Criteria. These are the guiding principles and minimum requirements that any tourism business or destination should aspire to reach in order to protect and sustain the world's natural and cultural resources, while ensuring tourism meets its potential as a tool for conservation and poverty alleviation. The GSTC Criteria form the foundation for GSTC's role as the global Accreditation Body for Certification Programs that certify hotels/accommodations, tour operators, and destinations as having sustainable policies and practices in place. GSTC does not directly certify any products or services; but it accredits those that do. The GSTC is an independent and neutral organization, that represents a diverse and global membership, including UN agencies, NGO's, national and provincial governments, leading travel companies, hotels, tour operators, individuals and communities – all striving to achieve best practices in sustainable tourism.